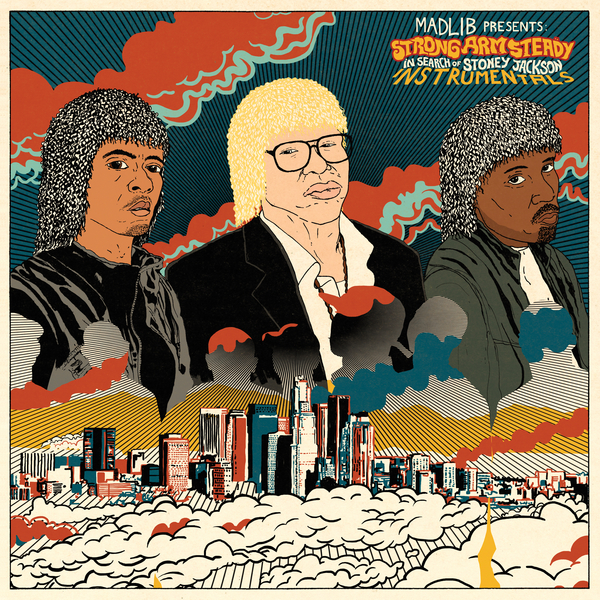 *INSTRUMENTAL EDITION* Heavyweight album of West Coast hiphop produced by Madlib! Strong Arm Steady have become a proper fixture on the LA scene since 2004, building their rep with a succession of well-recieved mixtapes including former crew member Xzibit (pre-Pimp My Ride) and the distinctive rhymes of MCs Krondon, Phil The Agony and Mitch The Slick. Notably, the crew were one of the first on the west coast to spread their sound via the mixtape format (East Coast heads like 50 Cent had already been using for a few years). As to be expected from a Madlib production, the beats are prime, lending the crew a selection of classically fresh samples arranged and executed with an endearingly ruff-cut edge. We would go as far to say that some of the beats here match or excel his recent 'Medicine Show Vol.1' LP (although that might just be due to the absence of Guilty Simpson's annoying drawl). A choice pick for the head-nod posse!